CDM SAFER Cable assemblies are designed and engineered using best in class materials and manufacturing techniques for optimum low smoke/zero halogen performance. Cables meet all applicable CMR, UL/NEC, CSA and NFPA requirements, and are 100% American made in CDM’s ISO-certified manufacturing facilities. All varieties of the SAFER Cable line are available in the most popular configurations as standard items, making for faster delivery and lower cost than true custom assemblies. SAFER Cables are perfect for passenger rail, light rail, freight rail, surface transit, rolling stock, railway stations, airports, and museums demanding the highest quality low smoke/zero halogen requirements. CDM SAFER Cable RF Jumper assemblies are designed and engineered using Times Microwave LMR®-FR Low Smoke/Zero Halogen Flexible Low Loss Cable and cable-specific Times Microwave interconnects. SAFER RF cables can be fabricated using nearly any standard connector interface, including BNC, N-type, SMA, and TNC. SAFER RF Cables can also be manufactured with Times Microwave mil-spec LLSB® Low Smoke/Zero Halogen Flexible Low Loss Cable for aerospace and shipboard use – contact CDM for details. SAFER Cables are available with RJ-45 interconnects for network applications. 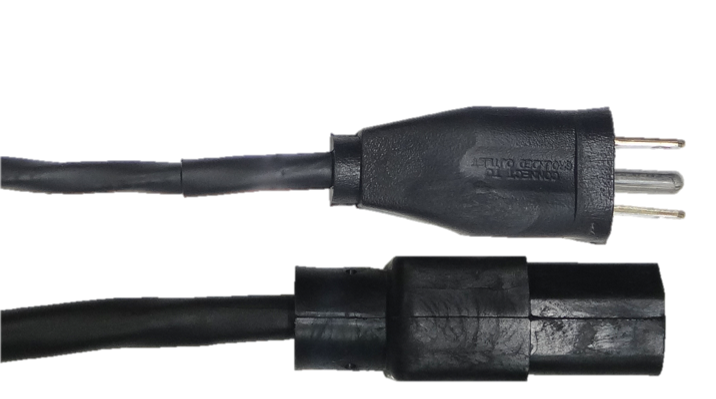 These low smoke, zero-halogen cables are preconfigured in the most popular lengths with straight, left-facing or right-facing molded terminations to meet safety and space requirements. 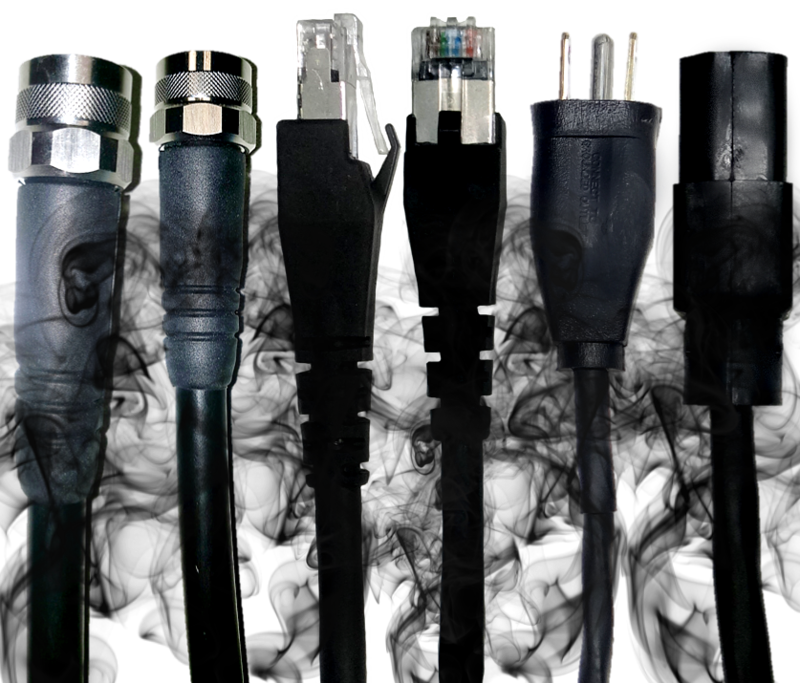 SAFER Cables for power applications are low smoke, zero-halogen and preconfigured in the most popular lengths. Terminations are standard NEMA 5-15 grounded plug and IEC 60320 C13 receptacle that’s applicable with most computers and peripheral devices.